This lecture covers the basics of mitochondrial DNA testing. An introduction to analysis of the DNA test results is given. Sample genealogical research problems are used to explain how mtDNA can be used by genealogists. This chart demonstrates mtDNA inheritance. Squares represent men. Circles represent women. 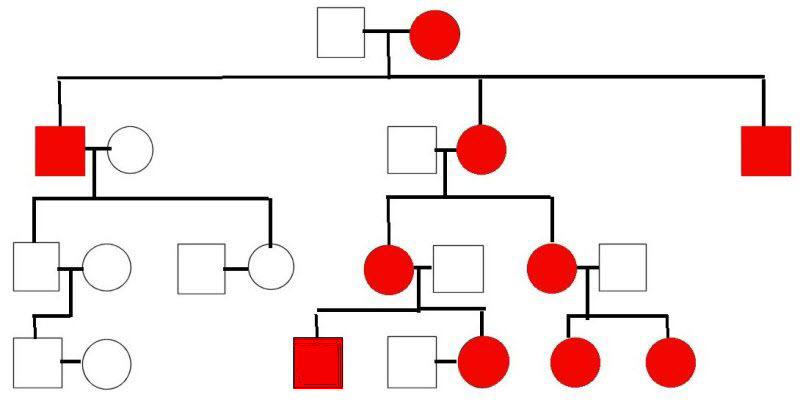 Red represents those with mtDNA inherited from the women at the top of the chart.